Howdy. My name is Shawn Halwes and I have been collaborating with the Ragtag crew on our “next project” since July. For ten weeks we worked hard to prepare a playable prototype to demonstrate at IndieCade 2012 in Culver City at the beginning of October. Chris already blogged about the IndieXchange event that we attended while at IndieCade, so I thought I would add some of my impressions about other aspects of IndieCade. The very first thing that strikes you about IndieCade is how the whole atmosphere of the conference is casual and laid back. Snuggled into downtown Culver City the main “village” area is merely a series of open air tents. There was one large tent provided by event sponsor Sony which displayed new and recent titles on their PS3 and Vita platforms. There were two other large tents adjacent to Sony’s, one that housed displays of indie games and another setup for presentations by conference speakers. On the periphery of this core group of tents were some smaller ones that had displays of some indie tabletop games. As you walked through this area you could find stashes of snack foods and cold drinks to keep the attendants fueled and caffeinated. The conference had a few other indoor locations accessible by walking a few blocks to attend more formal presentations that lend themselves to a quieter atmosphere. They even had taken over the garage of the downtown firehouse to present all of the game submissions that had garnered critical recognition. With the large garage doors open this provided a great open air environment to mingle with the indie developers and talk about their games. I found this whole setup quite refreshing. As a twelve year industry veteran turned indie, I have been to a fair share of conferences in large convention center buildings all bombarding your visual and aural senses with their electronically enhanced booths. These bombardments are broken up with the occasional keynote speaker presented in a dark, cavernous room with a droning voice and the glow of a slide deck projected behind them…nap time anyone? So it was refreshing to be able to walk around in the beautiful California weather (I am based in Dallas so I found the escape from the Texas Summer heat quite refreshing) and walk up to a game demonstration and talk to the developer in a normal voice without having to shout over the aural chaos of a convention room floor. I attended quite a few keynotes and panels as well. There were some in your classic dark room with a projector, others in a well lit theatre with a stage, and a few more under a tent. I cannot really put my finger on why these felt so different from your standard conference, but all I can say is that they felt more organic with a subtle buzz of energy in the audience. Quite a few of these had audience participation either through question and answer exchanges or by having the audience act out a game demonstration to reinforce a speaker’s point. Although I found the laid back atmosphere refreshing it was not all sunshine and rainbows. 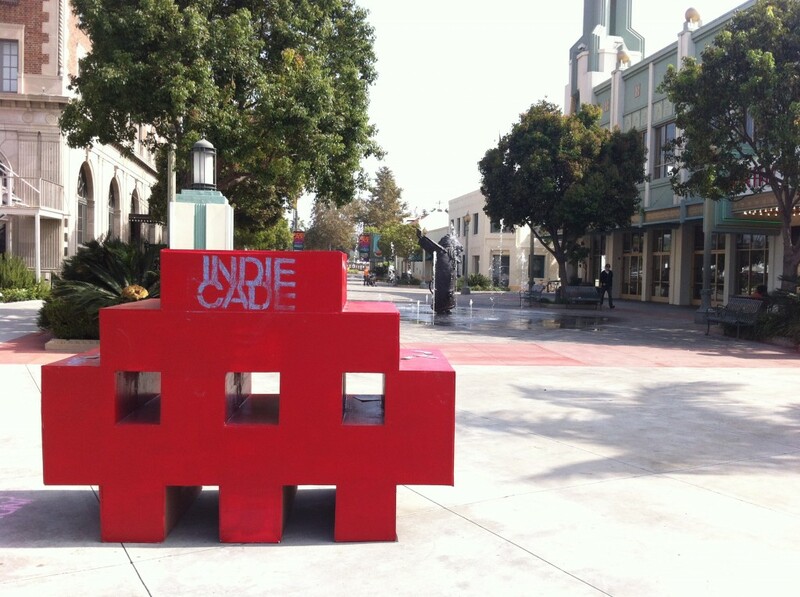 It seems the people running IndieCade carried the laid back atmosphere into some of their preparations as well. Chris already touched on areas that the IndieXchange event could be improved, so I will not rehash those here, but I do have some suggestions for the IndieCade event overall. The first would be to have your registration area set up and ready to go on day one. When I arrived to get my badge it was not ready. They looked through the multiple unordered boxes of badges they had on the table. They looked through their multiple paper lists of names. They looked at me and said they could not find me. To their credit they did have all elements on hand to create a badge for me on the spot. It all worked out in the end, but when you spend what is a significant amount of money for an indie developer on a conference, you expect more than a “lets just wing it” type of preparation. I would also recommend that they have all audio, video, and slides from their numerous presentations collected and posted somewhere on the internet for conference attendees. I have been able to collect a handful of slide decks by contacting the speakers directly (which is great and thanks), but not having this kind of thing available in the age of free cloud storage is a bit frustrating. I have tried to contact IndieCade via email about this just in case I missed something or was not on the right email list, but I have not heard back from them. So, in general, I would advise next year they make sure they are properly prepared and provide a proper follow through after the event is over. Like I said it all worked out in the end, so no worries. 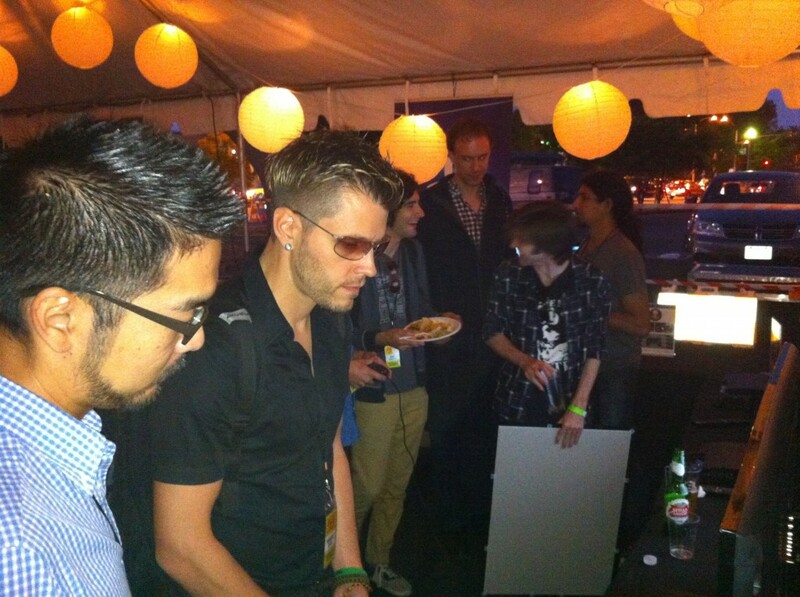 As the major sponsor of IndieCade, Sony had quite a presence at the event with their large display tent, and as hosts of some of the social gatherings during the conference. These kinds of things are all expected by such a large corporate entity, but I was not prepared for how embracing of the indie developers they were. Ever since they announced their Sony Pub Fund initiative they have really followed through with expanding their portfolio to include games that explore pushing industry boundaries. Whether it is through supporting a game like Papo & Yo with Pub Fund or a closer incubator type of relationship like they have with Giant Sparrow the developers of The Unfinished Swan they appear to be sincere in putting funding behind indies. Although both these titles have a level of exclusivity with Sony, the relatively recent launch of Sony’s new mobile initiative provides some intriguing avenues for indies to pursue with lower barriers of entry than the opportunities available on the other console platforms. The Sony representatives that attended IndieCade were approachable and open about Sony’s goals of cultivating new relationships with indie developers, as well as being friendly and passionate gamers. One of the reasons I decided to quit my job and go indie is so that I can have an opportunity to turn my own game ideas into a reality. I am a programmer by trade and I recognize that to accomplish this goal I need to improve myself as a game designer. At IndieCade I attended a presentation by Eric Zimmerman titled Being a Game Designer: 10 Principles for a Thoughtful Practice. In this presentation he discussed his principles of approaching game design as a craft and how to continually improve that craft. 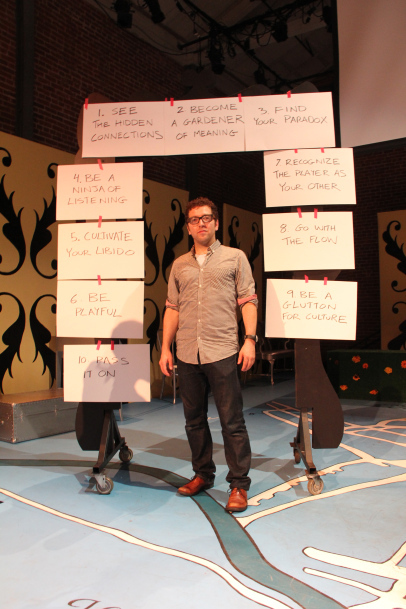 As he presented each principle, he would tape a large rectangle of cardboard with the principles written on them to a door like prop on the stage (apparently a prop left over from a play being rehearsed at the same theatre). He would then break down the components of why that principle was important to game design. I found his delivery to be quite engaging as he energetically walked back and forth on a brightly lit stage explaining the meaning of each of his ten principles with metaphors, pantomimes, and even pausing at one point so the audience could participate in a demonstration game with their neighbors. This presentation was a highlight of the conference for me as it helped me see some aspects of game design in a new light as well as being refreshingly entertaining. I plan on reading one of Eric’s books in the future as I continue to educate myself on the craft of game design. 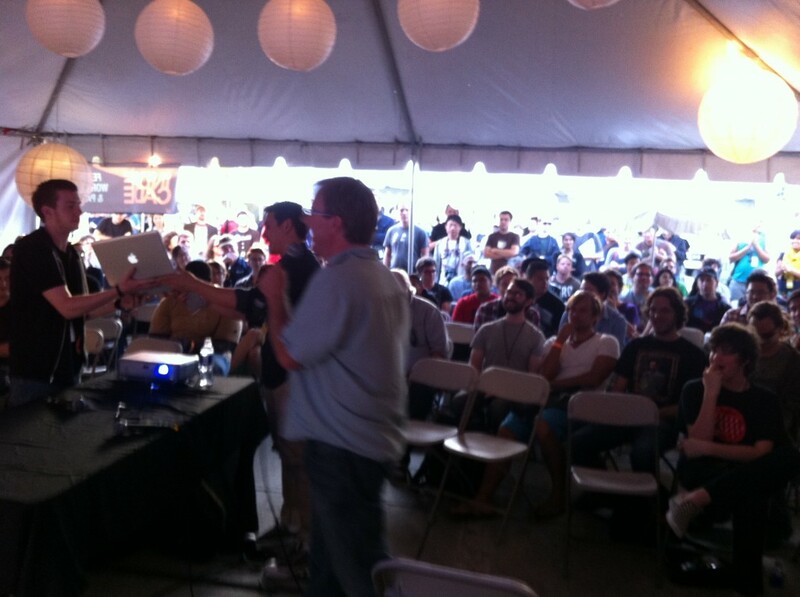 At the end of the last day of IndieCade as part of the GameU series of presentations there was an hour long game slam. This is where indie game developers were given two minutes to present their game to the audience as it was projected with audio onto a large screen behind them. Chris and I were sitting in the audience from attending the previous presentation as this event was being announced. We looked at each other and asked ourselves if we should do it. After a long weekend of showing the prototype many times in more intimate settings with much longer than two minutes to present we were a little hesitant about presenting it in front of such a large audience in less than ideal conditions. The game slam was being held in one of the large outdoor tents with a lot of ambient noise and the setting sun shining directly onto the screen washing out the projector. In the end we decided to go for it since presenting our prototype was a core reason that we went to IndieCade, and at Ragtag we want to foster a culture of open development as much as possible. So we scrambled to find Matt who was off somewhere at another part of the conference, and figure out how we could shrink what was usually a ten to fifteen minute prototype presentation down to a meaningful two minutes. As we strategized and waited for Matt we watched the other indies go up and present their games. There were some really great games that were shown and many cheers, and applauses from the crowd. This caused my level of anxiety to rise as the reality of getting up in front of all those people showing what we had been working so hard on over the last ten weeks got closer and closer. As the applause and cheers continued, the audience swelled to the point that there were no more available chairs and people were forced to stand outside the tent to see the presentations. Matt arrived and we agreed that I would drive the prototype while Chris and Matt narrated over the top of the game play. As we got up to wait in the “on deck” area it was announced that we would be the last presenters because the hour for the event was almost over. While we were setting up our rig to the projector and audio we ran into some issues with the compatibility of our build’s screen resolution with what the projector could support. This was nerve racking considering all of the nervous energy built up inside of me up to this point. Then we were faced with having to wrestle with the settings of an unfamiliar projector while a crowd of tech savvy gamers shouted technical advice and the emcee was reminding you that you were the last group and they needed to wrap it up (so this was probably only a minute, maybe two tops that we had to deal with this, but in my mind it felt like an eternity). Eventually we got the game up on the projector, but part of the screen was cut off, and the sun was doing its best to wash out the projection, and the audio was barely audible, but we soldiered on. As I drove through the prototype showing off game play mechanics we got a few bits of laughter and applauses from the crowd. Chris and Matt were doing a good job of explaining the action as the emcee warned us we were at the thirty second mark, then the twenty second mark, then the ten second mark. At this point Matt starts jumping up and down yelling for me to go for a secret part of the prototype. As the emcee is counting down the last seconds of our allotted time I am able to activate one of the secret areas to a cheer and applause from the crowd. As we packed up our rig and the audience began to disperse we received quite a few positive comments from some of the attendants. This was a great punctuated ending for our IndieCade experience as it provided some positive momentum for us to take back home and begin the long road of turning the prototype into the actual game.